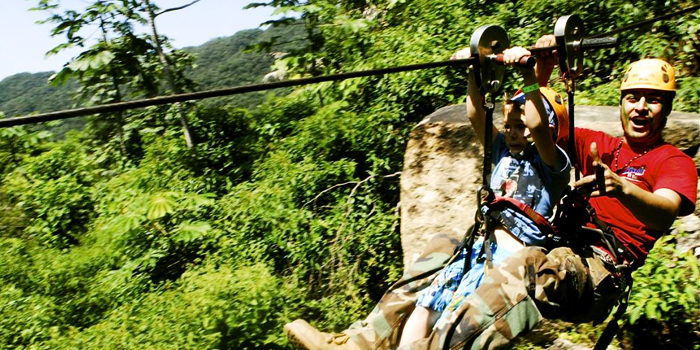 If you love the untamed outdoor back-country, then join us for our El Eden Canopy Adventure, where you'll zoom through the tree-tops at more than thirty miles per hour on a zipline. The gorgeous natural mountain environs near the coastal paradise of Puerto Vallarta where the verdant foothills of the Sierra Madres meet the spectacular waters of the Banderas Bay (Bahia Banderas). The natural beauty of this region -- with lush forest canopies, abundant wildlife, cascading waterfalls and the meandering Mismaloya River -- is an eco-enthusiast's dream. You will never forget the unique treetop perspective of this jungle paradise. This spectacular jungle backdrop was once used as the setting for director John McTiernan's 1987 science fiction movie, Predator. This box office hit starred Arnold Schwarzenegger as Dutch, a veteran military commander who faces off with a seemingly indestructible alien hunter. You can soar through the same trees where the chameleon-like Predator stalked Dutch's platoon in that exciting film. 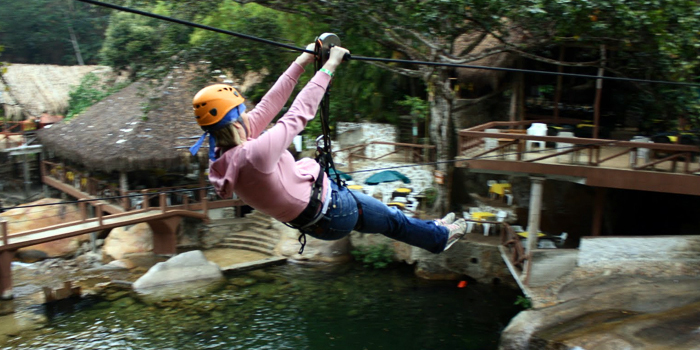 But, instead of observing the action from the sticky seat in a dark movie theater; you'll be experiencing this exhilarating adventure first hand while suspended dozens of feet in the air. Our friendly bilingual staff will ensure that your adventure is completely safe. 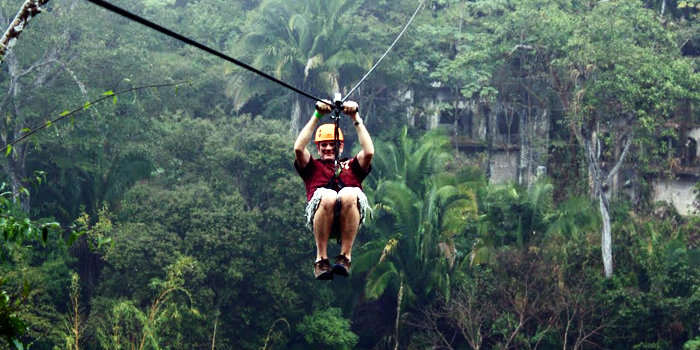 We use only the best zip-line equipment, well-maintained for our clients' safety. 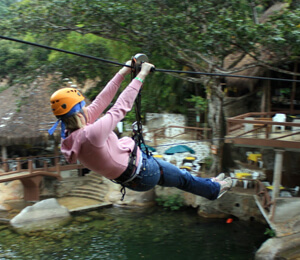 In addition to this breathtaking aerial adventure high above the jungle floor, you'll have the chance to dine on local seafood and Mexican cuisine alongside the beautiful Mismaloya River. Sample the tastiest of local Tequila and Raicilla (a local moonshine made from the roots of the maguey plant) on a local production and tasting tour.